Without support from all GOP Senators on the panel, the 11 Democratic Senators on the Senate’s Committee on Health, Education, Labor and Pensions could get a majority vote against him. But Trump has enormous sway over GOP Senators, including the ability to nominate their home-district supporters to prestigious posts in the federal government, such as advisory panels, judgeships, and ambassadorships. Few GOP Senators want to oppose Trump’s nominees at the very beginning of his administration for fear of being denied important presidential favors. CNN is also reporting that Sen. Tim Scott from South Carolina, and Sen. Lisa Murkowski of Alaska, are also withholding their support. All four Senators are members of the HELP committee. If Puzder does get support from all the GOP Senators on the committee, he may still face a tough run in the Senate, where the loss of three votes from the 52-member GOP caucus would defeat him — unless he can win over at least one vote from the 48 Democrats. 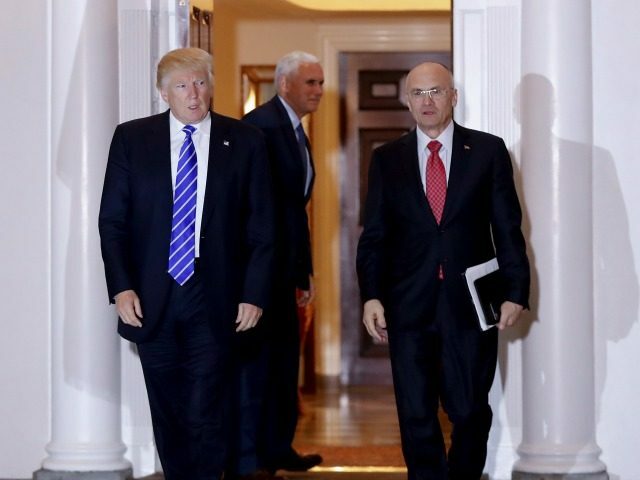 Business groups, including the U.S. Chamber of Commerce, are rallying around Puzder, who served as the chief executive officer of two restaurant chains. He’s also been hit with by resurrected charges that he abused his wife in the late 1980s, and by new charges that he employed an illegal immigrant and owed money to a bank which does business with federal pensions managed by the labor department. One of the most difficult issues for GOP Senators is the decades-old charge of domestic abuse, which was aired in a 1990 Oprah TV show. If a GOP Senators votes for Puzder, future Democratic campaign rivals will likely air TV ads charging them with aiding a domestic abuser. Several Senators on the HELP committee have already seen a video of the 1990 show, which was provided by Oprah to the committee. The chairman of the committee, Sen. Lamar Alexander, is downplaying the video. “I’ve arranged for senators on the committee to see that … I thought that was a reasonable request. No reason not to see it,” he told Politico. “That happened 27 years ago. His former wife has said it was all not true. She has reiterated that in a heartfelt letter to members of the committee and has been willing to talk to members of the committee so I don’t think that’s an issue,” he said.